Item is an original Arthur Lismer pen and ink portrait of Rev. John Forrest. 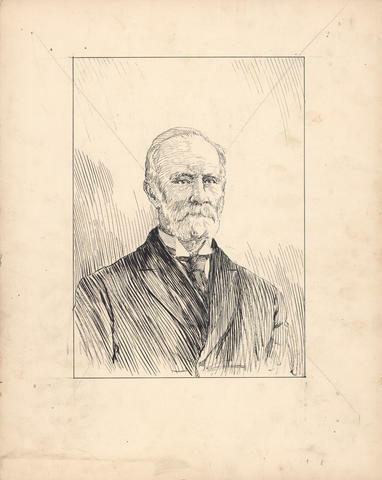 The drawing is effaced with a penciled X and was not published; see 0000-091, Box 1, Folder 13, Item 2 for the portrait that was reproduced in One hundred years of Dalhousie, 1818–1918 (1920) and D.C. Harvey, An introduction to the history of Dalhousie University (1938). 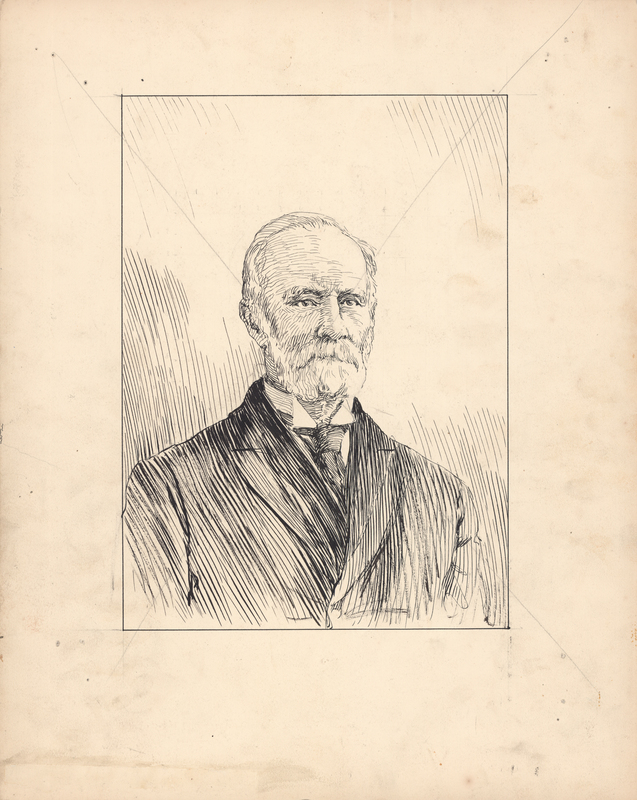 On the reverse is the portrait of Andrew Walker Herdman Lindsay that appears in One hundred years of Dalhousie, 1818–1918 (1920).